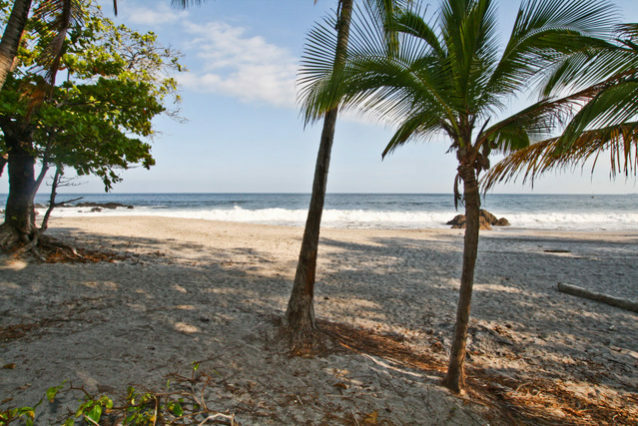 From the beach you will find the Montezuma Firefly Beach Houses property sign steps from the beautiful ocean, that’s where your retreat begins. 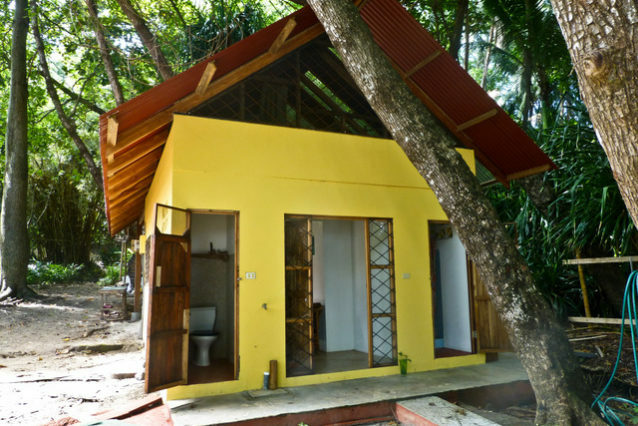 Ideal for a romantic getaway, surfing adventure, yoga retreat and more- this private and beautiful cottage is located in the jungle where the trees meet the sand. 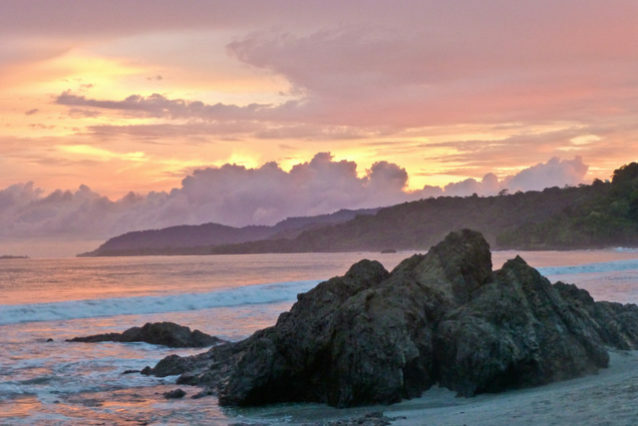 You are only steps away from the beach where you can meditate with the sunrise, surf the waves in front of the house or hike for miles along one of the most beautiful beaches to be found. 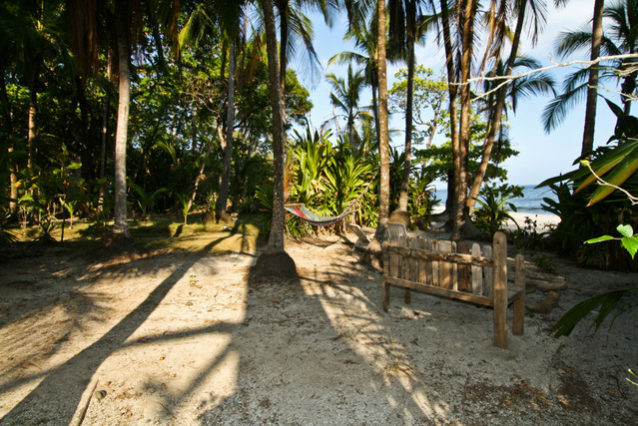 Enjoy the gorgeous views from your doorstep and the relaxing sound of the waves. 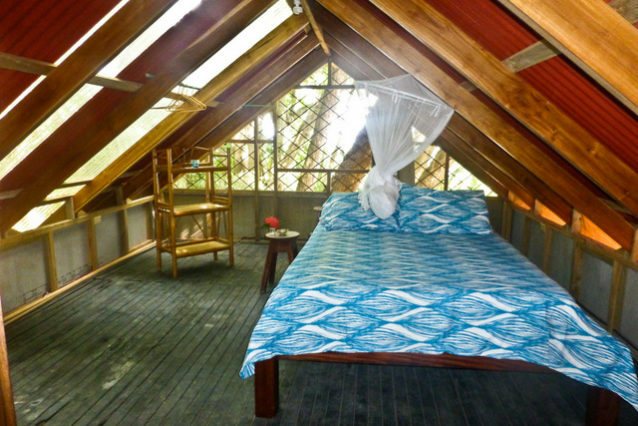 The cottage has a spacious dome shaped room with a double bed, fold out couch and a table with chairs. 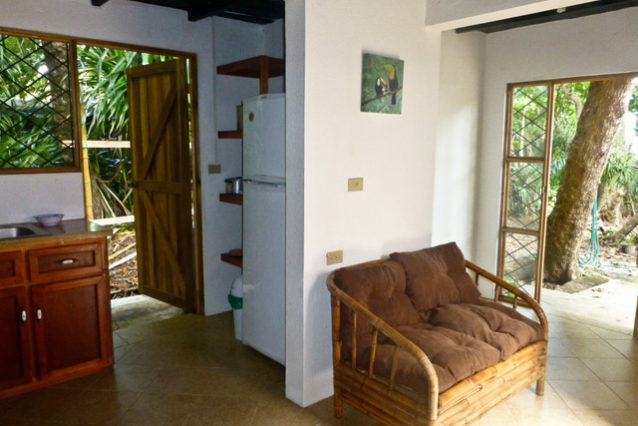 Ideally sleeps up to 2 guests but the sofa bed can accommodate two kids or one extra adult. 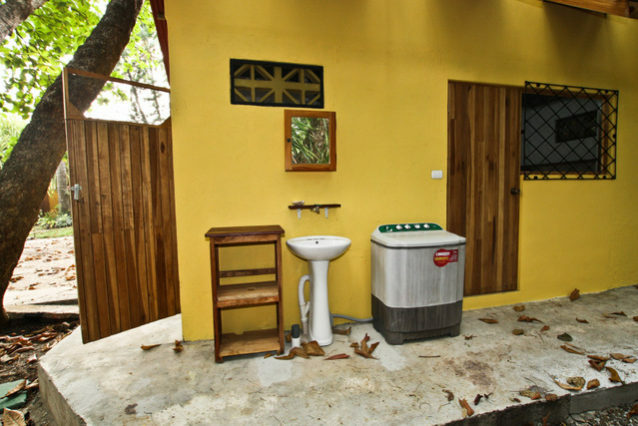 It is also features a t.v., dvd player and wifi. 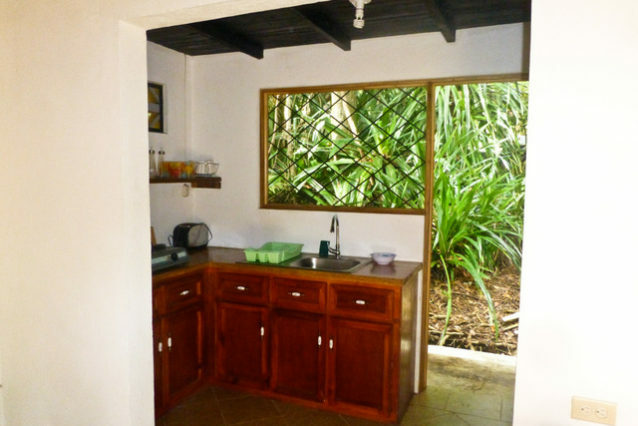 Next to the main room is a well equipped kitchen with a bar and stools. 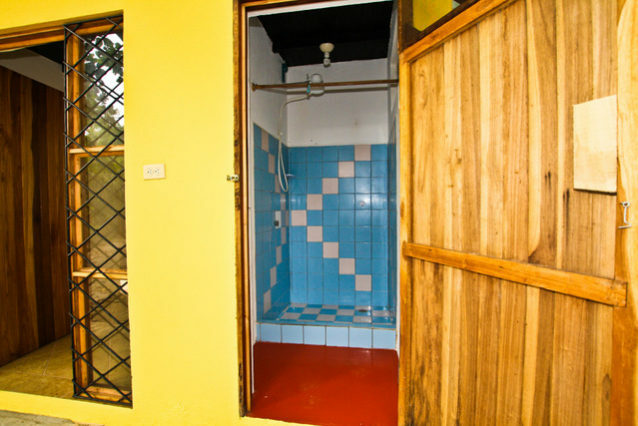 There is a large bathroom including a hot water shower, no tub. 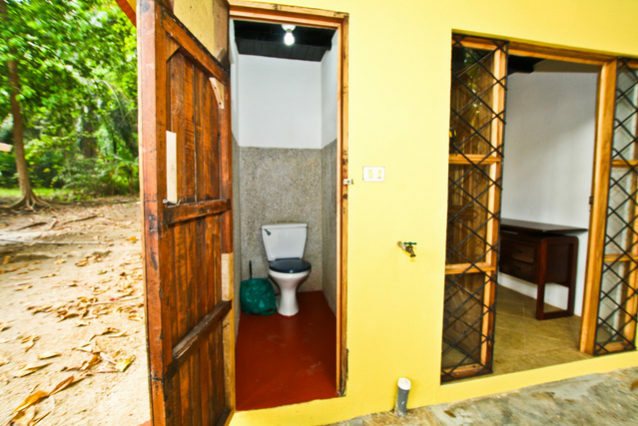 There are two sets of big double doors which you can open to face the beach and feel the breeze and view the wildlife. There are two other houses on this large family owned property. 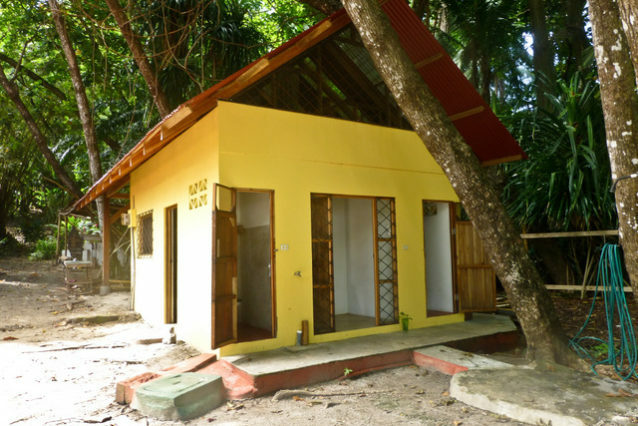 There’s a four bedroom house which can sleep up to 8 people and a cabin suitable for 2 people. 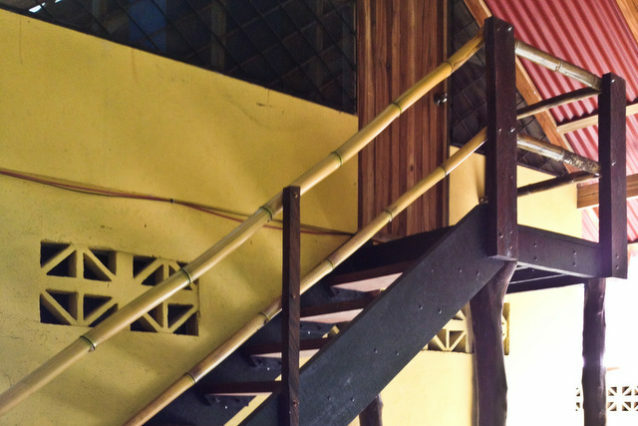 These houses are also available to rent. Inquire about renting all three for large groups. 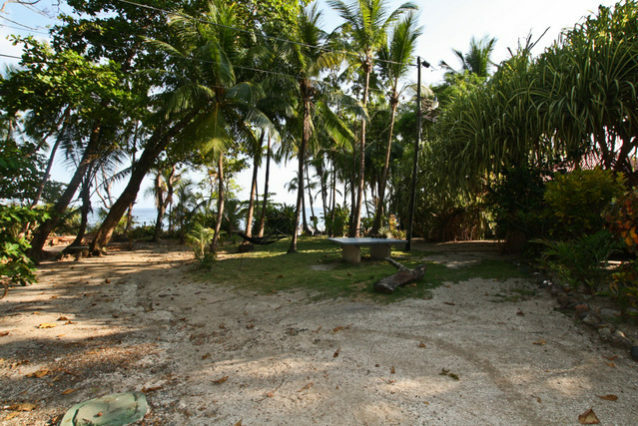 Plan a family reunion or a wedding on the sand! 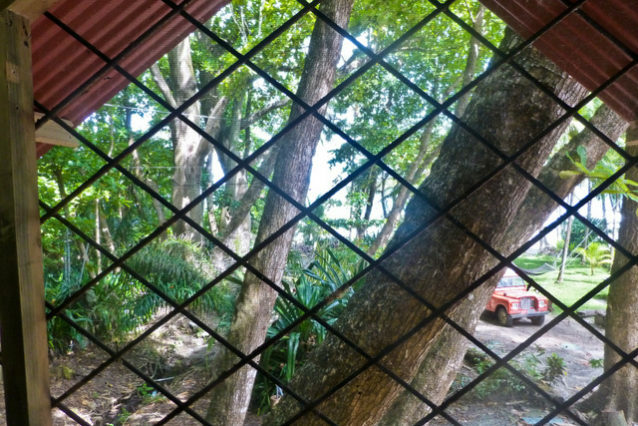 There are many enormous trees, colorful plants, flora and green grass surrounding the houses. 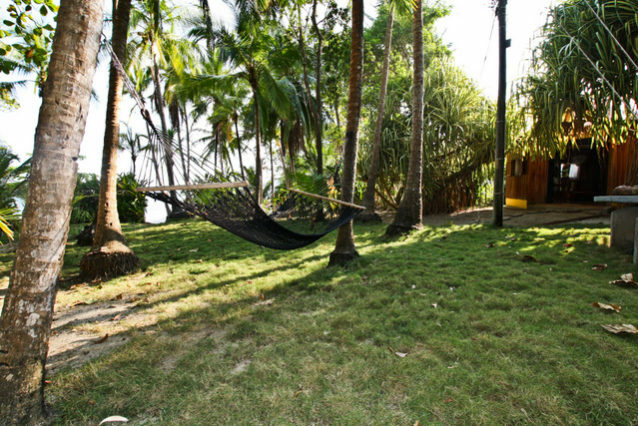 Charming sittting areas and hammocks are perfect for lounging in while the kids can run and explore. 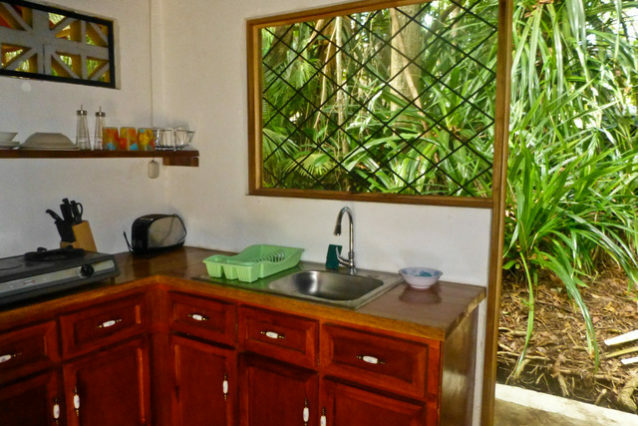 You will see iguanas, white faced capuchin and howler monkeys, red squirrels and many beautiful birds in this private setting. There’s a great cement ping pong table located in the middle of the yard with paddles and ping pong balls available to the guests. Let the games begin! 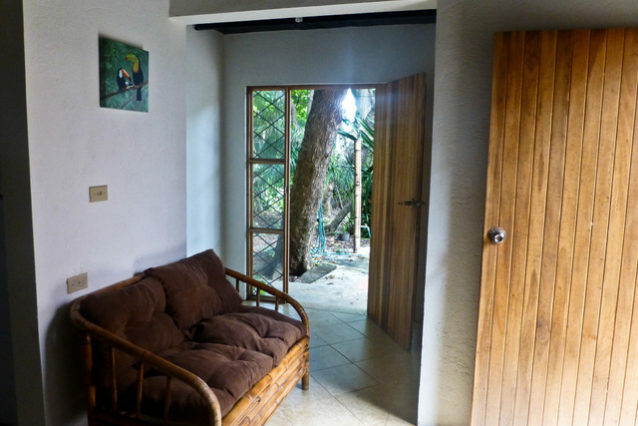 The house is a 10 minute walk from the village of Montezuma. 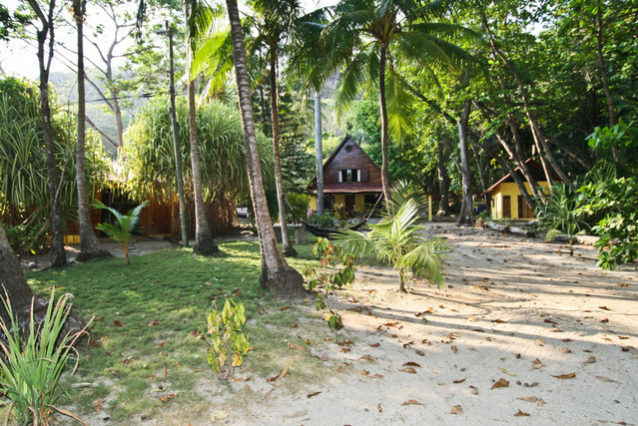 You can walk along the beach or you can walk on a small, shaded beach road. We do not encourage driving from the village to the house. It is free to park in town and our caretaker will be happy to haul your luggage in and out. 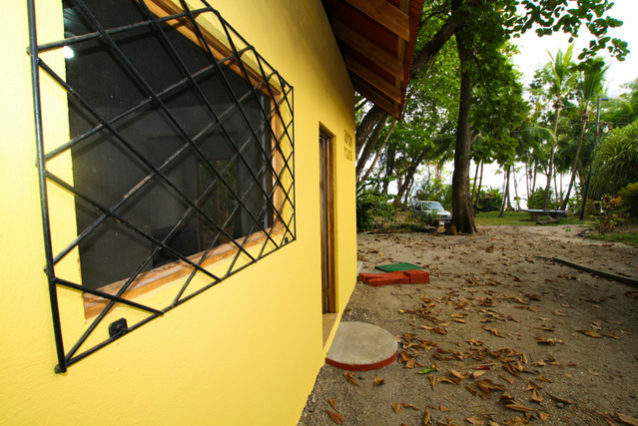 The cottage is located right next to the Ylang Ylang Resort. It isn’t even necessary to have a car in this area as everything is very accessible and there’s so much to do. 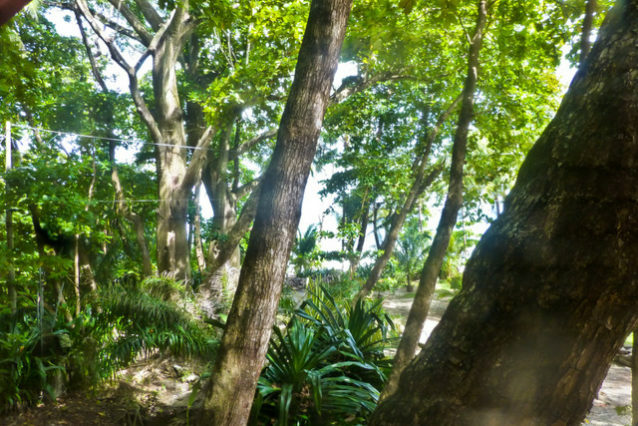 You can hike the waterfalls, take yoga classes, go horseback riding, take a boat tour and much, much more. 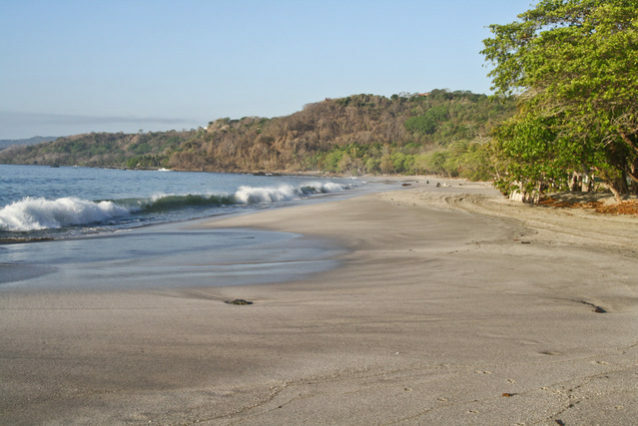 Montezuma is a friendly and healthy community which attracts people from all over the world. Don’t be surprised if you bump into someone you know! There are two markets in town for grocery shopping or any other supplies you may need. Many wonderful restaurants are close by, most notably Cocolores, L’Angolo Allegro, Puggo’s and Playa de los Artistos. Small souvenir shops are also scattered along the main road. There are plenty of local artists selling their unique handcrafted jewelry along the street. 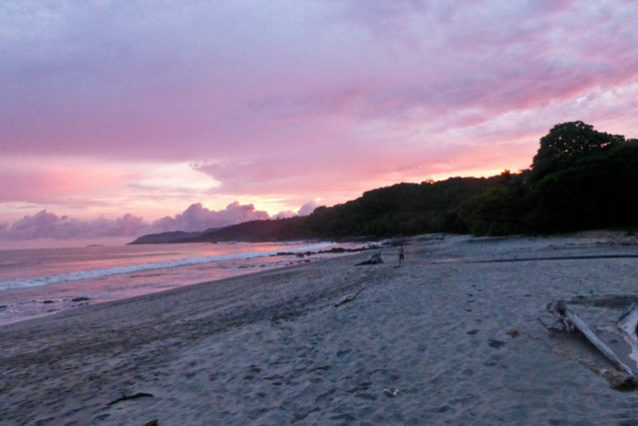 Montezuma has an active nightlife including a couple of bars that have music. Try to catch the local talent of fire dancing (poi) with the weekly nighttime performances in the middle of town. 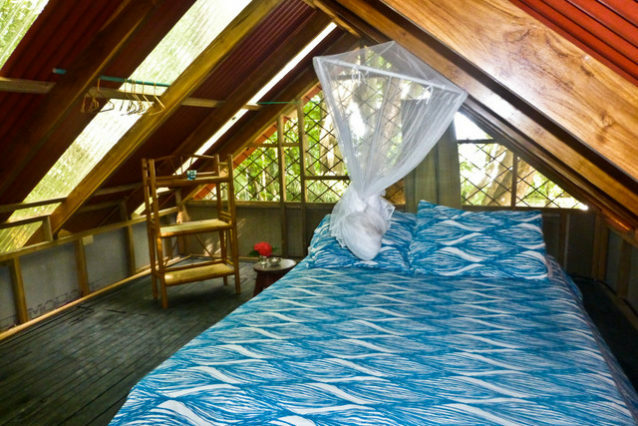 Whether you seek an action packed vacation or quiet time with the wildlife and surf, the Montezuma Beach Chalet is sure to provide a private, comfortable and peaceful setting for your stay.